It might not be the answer you were expecting. There are around 100 billion planets in the Milky Way galaxy alone. If even a tiny percentage of them are habitable (and they should be, even using conservative standards), that would still provide for alien life on millions of planets, and intelligent life on hundreds of thousands of those planets. 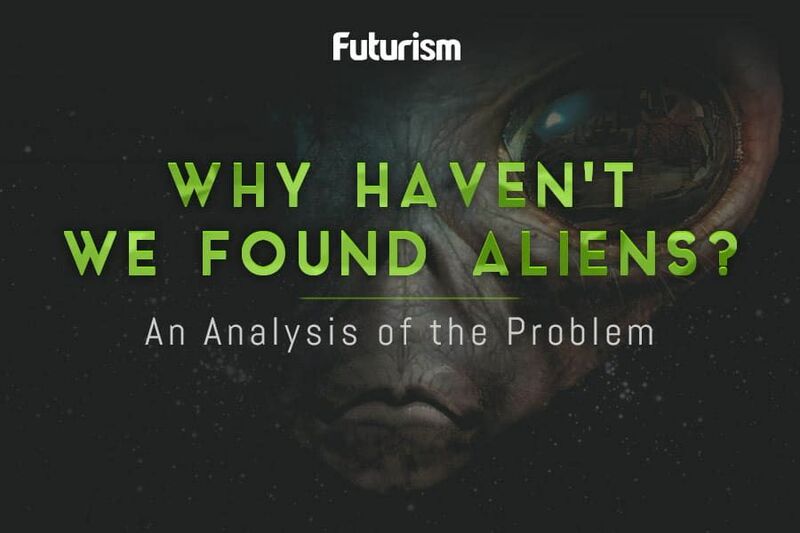 Given these facts, the Fermi paradox asks: why do we appear to be alone? Cornell Astronomers appear to be on the same page as NdGT, arguing that due to the sheer amount of time it would take extraterrestrial life to receive our signals and respond, it could be around 1,500 years before we hear from any alien neighbors. At a panel on extraterrestrial life, NASA and SETI representatives pointed out that intelligent alien life may not even have a drive to explore and reach out. Or that if they do, they may have a policy similar to Star Trek’s Prime Directive, where they deliberately avoid making contact with other civilizations (namely, ours). Stephen Hawking characterizes any first contact as dangerous, and points out that when Columbus came into contact with the populations native to the Americas, they were subject to a dominant culture that possessed superior technology and a world view that assessed them as inferior—something that could happen to us. Douglas Vakoch, the president of METI International, feels that any civilizations capable of interstellar travel would know about us already, so therefore they must not be hostile. 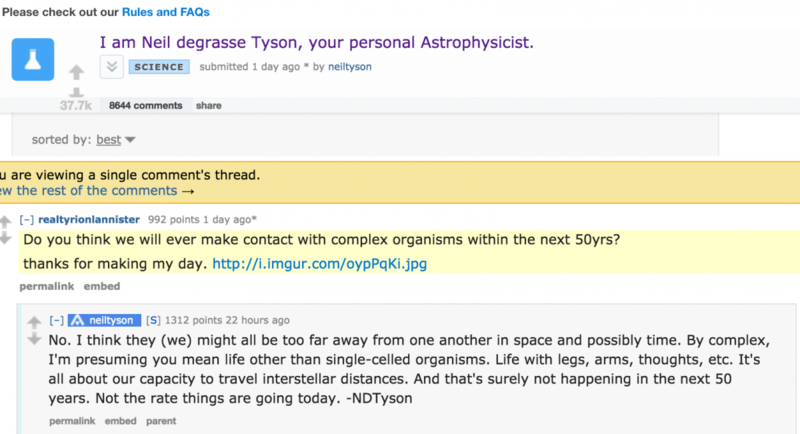 However, Tyson was responding to the question of our ability to strike out and discover life elsewhere, and his assessment is based on the challenges posed by traveling interstellar distances. It seems likely that if we progress in our abilities to travel through space faster than he’s predicting, he’ll be happy to have been proven wrong. Have We Already Discovered the First Habitable Exoplanet?